Mineros de Guayana may have already been eliminated from this year’s Copa Libertadores yet while few fans turned up to see them formally bow out, those that did were rewarded with the first (and only) victory by a Venezuelan team in this year’s competition. This came at the 18th (6th, specifically for Mineros) and final attempt in a match that meant considerably more to their Argentine opponents who, had they won, would have joined Brazilian champions Cruzeiro in the next round. Alas, it was not to be, as they failed to take advantage of the hosts’ low morale and absence of several first-team regulars, all of whom are recent internationals: Gabriel Cichero, Edgar Jiménez, Richard Blanco and Rafael Romo (not to mention 41-year-old Luis Vallenilla, even if his last cap for La Vinotinto was over seven years ago). Instead, the Bolivian champions Club Universitario de Sucre progressed. While Huracán initially took the game to the Venezuelans and were to perhaps edge possession in the first half, they went behind in the 10th minutes. The goal originated in a corner from Ángelo Peña, a talented individual with international experience and brief spells in Portugal and Brazil under his belt. He was to have a memorable game roaming all across the line behind the very tip of the Mineros attack, feeding in his team-mates on numerous occasions. His cross from the left was headed straight back to him but, undeterred, he swiftly left a defender for dead before inching into the area where he chipped a delightful ball over the goalkeeper to the back post where it was headed in by Colombian Zamir Valoyes. For the visitors and many neutrals at least, this was not in the script. Six minutes later, the Argentines briefly thought they were level when Federico Vismara quickly took a free-kick that was knocked into the area for Ramón Ábila to tap in. However, the striker – nicknamed ‘Wanchope’ after the ex-Costa Rican international with what is apparently a disconcerting lack of irony – was offside and the goal was ruled out. Ábila was to frustrate fans, team-mates and coaching staff alike with his positioning throughout the game, repeatedly being ruled offside – a familiar story for those who have watched him regularly this season in the domestic Primera División. For the following twenty minutes, the many Argentine forays into Venezuelan territory struggled to legally bypass the opposition’s back line or culminate with a testing shot on goal. Most crosses were blocked and/or headed out and while Ábila wormed a relatively harmless attempt wide, the majority of efforts stopped by goalkeeper Luis Romero were struck from a distance. By contrast, Mineros were to have clearer sights of goal, working two opportunities in quick succession from similar positions on the left inside the area. The first, after 34 minutes, fell to goalscorer Valoyes but, though he had a defender hot on his heels, he should have done better than blazing over the crossbar. Two minutes later, Edson Castillo was played through and did well to aim a left-footed shot across goal that provoked a rather theatrical parry from Marcos Díaz. Throughout this half, though the Argentine domestic strugglers often attacked with intent, with the final key pass or cross eluding a forward, they were often conceding a great deal of space that was exploited by the likes of Peña and a few other team-mates who were to also put in good performances. Three of these were to combine impressively for the second goal on the 40th-minute mark. Indeed, Luis Guerra, an 18-year-old in his debut season, embarked on an eye-catching run that began in his own half and proceeded up the left-channel, evading three challenges along the way. Upon reaching the edge of the area, he played the ball towards the dee to Venezuela international Rafael Acosta, who swiftly arced it to Valoyes on the right, who in turn, confidently hit an exquisite shot with the outside of his foot to make it 2-0. The Colombian had scored his fourth goal in this year’s Copa Libertadores – all of which have come against the Argentines. Two goals down and not even half-time, Huracán were heading out. The best they could muster in the five minutes before the interval was a header from Ábila that went marginally wide of the near post – albeit, once again from an offside position. Such transgressions by ‘El Wanchope’ and his team-mates as well as other decisions going against the visitors were to continue in the second half. Indeed, after another offside goal – this time netted in the 54th minute by Chilean Edson Puch – the coaching staff were visibly animated and, following each sounding of the whistle, continued to be as what was anticipated to be an historical day turned increasingly sour. Their side persevered with their ever-fruitless attacks while affording the hosts more and more space to counter. Luis Guerra was always seeking ways to take advantage of this and he was to contribute further to his memorable performance in the 66th minute when he had a hand in the third and final goal. On the left, he cut into the area, turned back from the byline and, with his right foot, squeezed a ball through to Acosta whose first shot was blocked, only to come back to him to strike home into the net. 3-0, game over. The players on the away bench were utterly stunned and, in the aftermath, could do little but stare with their hands on their heads as the ramifications of this missed opportunity sunk in. In the remainder of the game, each side had at least another notable long range effort but the one chance that perhaps summed up Huracán’s miserable day came with just over ten minutes left. Half-time substitute Cristian Espinoza – who impressed on the wing in Argentina’s victorious Sudamericano Sub-20 side earlier this year – chipped in a ball that Ábila, eight yards out and unmarked, contrived to head wide of the far post. The final whistle marked a game to forget for the visitors. Many neutrals as well as Argentines were rather rash to proclaim this result to be a surprise, if not an embarrassment. Seemingly, they were forgetting the 2-2 draw in Buenos Aires back in February and somewhat overstating the reputation of Huracán, a newly promoted side who currently reside in 25th in a bloated 30-team division. 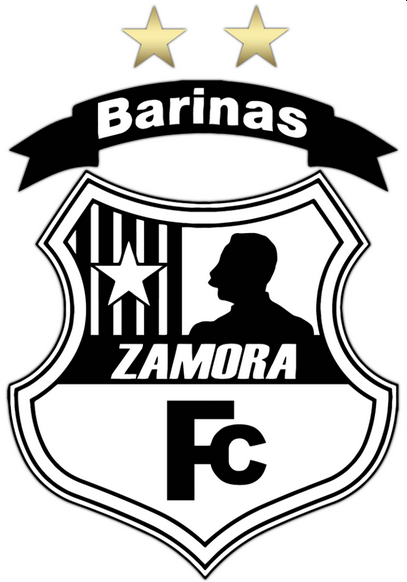 This club was unable to stop Zamir Valoyes scoring twice in both Argentina and Venezuela which, along with Rafael Acosta’s strike, constituted the only times Mineros de Guayana managed to find the net in this year’s Copa Libertadores. As these five strikes also generated the only four points the Venezuelans gained in the tournament, the Argentines would do well to show a little more humility. For Mineros, while the result can not be said to have been a complete surprise, given they were playing for nothing and 4-5 first-team regulars were missing, not many would have anticipated that they would have won by three goals. Given this game was the final one contested by Venezuelan teams and marked the solitary group stage win, following a winless run of 18, one must try not to read too much into it. Mineros are struggling domestically, they have sacked two managers this season and will not be competing in next year’s Libertadores; with only three league games left, it is unlikely this game will have much significance in the long run. Nevertheless, they did well to salvage some pride and no doubt spoil the ’18 games, 0 wins’ narratives of planned obituaries for the three Venezuelan teams. One such review – albeit, marginally more level-headed – of the campaigns of Mineros de Guayana, Zamora and Deportivo Táchira will be appearing on this website in the upcoming days, so please keep returning to the site for that as well as much more. This entry was posted in Copa Libertadores and tagged 2015 Copa Libertadores, Agustín Torassa, Argentina, Argentine Football, Édgar Jiménez, CONMEBOL, Copa Libertadores, Copa Libertadores 2015, Copa Libertadores in English, Cristian Espinoza, Daniel Montenegro, Ebby Pérez, Edson Puch, English Copa Libertadores Coverage, Gabriel Cichero, Huracán, Luis Guerra, Luis Romero, Luis Vallenilla, Marcos Díaz, Mineros de Guayana, Patricio Toranzo, Rafael Romo, Ramón Ábila, Richard Blanco, South American football, Venezuela, Venezuelan Football, Zamir Valoyes on April 23, 2015 by hispanospherical. Fresh from a 5-0 league drubbing at the hands of lowly Llaneros de Guanare, the Venezuelan champions ended their dismal Libertadores campaign with their sixth consecutive loss – the worst record of any of the three sides from this nation of perennial underdogs. Although they were a tad unfortunate to not get anything out of the barnstorming opening-day game against their Uruguayan opponents, judging by the sparsely attended ground, there was little local enthusiasm to see if they could turn them over on their own patch. The match that transpired was to largely dovetail with the atmosphere in which it was played, being largely of little interest to the neutral. This could only benefit the visitors who were actually playing for second place and ultimately succeeded in doing so by taking most of the chances that they engineered, thus finishing above Chilean outfit Palestino. Though few will have cared at the time, let alone now, Zamora were largely matching their opponents in the first half-hour, with Jhon Murillo running at the defenders and Luis Vargas, amongst others, taking shots from range. However, none of their opportunities were particularly threatening and when the Wanderers took the lead in the 34th minute, those of a fatalistic disposition could not help but feel that the inevitable had arrived. The goal itself was a tap-in by Matías Santos – scorer of the crucial winner in the home tie against Palestino – following a low cross into the goalmouth from Joaquín Vergés. As the half petered out, it was actually Vergés who could have doubled the visitors’ advantage when he was played through a minute before the interval but goalkeeper Edward Ibarbo did well to instinctively put out an arm to deflect the ball over at point-blank range. The second half began similarly to the first, with Zamora having their fair share of the ball but, largely consigned to fruitless runs on the wings and long shots, rarely creating anything of note. If there was any desire for at least a point it was swiftly lost when the second goal went in after 64th minutes. Receiving a lofted pass from Santiago Martínez on the left flank, Nicolás Albarracín, centrally in the dee, controlled and then clinically struck a perfectly placed left-foot shot into the bottom right-hand corner. The goalscorer, who is still a mere 21 years of age, has been one of the Montevideo side’s best players in this group stage and though he has already experienced a brief spell abroad with Serie B’s Spezia, another foreign foray does not seem out of the question. Albarracín was to further enhance his reputation by playing a key role in the third and final goal. With two minutes left, he robbed the ball off the dawdling Jordani Abreu some 35 yards from goal, immediately passed to Gastón Rodríguez before inching towards the edge of the area, where he again received the ball and then laid it off for Rodríguez to strike home emphatically. A great bit of teamwork between the two players, both of whom have scored twice in this year’s competition, with all four coming against their beleaguered Venezuelan opponents. Soon after the final whistle was blown, the relatively modest Montevideo club had more reason to celebrate as their place in the knock-out phase had been confirmed following Boca Juniors’ 2-0 victory over Palestino. Zamora, on the other hand, can take away little from their participation in this year’s tournament. Ultimately, Palestino and Montevideo Wanderers proved themselves to be far from pushovers but, when the draw was made, more than a few Venezuelans felt that the bicampeones would make a decent fist of the fight for second place. Indeed, in last year’s competition they finished just a point off this spot, having recorded wins against more established opposition in the form of Colombia’s Santa Fe and Paraguay’s Nacional. Sadly and yet unsurprisingly, losing key individuals – manager Noel Sanvicente to the national side, midfielder Pedro Ramírez to Sion and top-scorer Juan Falcón to Metz – following their second championship win in May 2014 cost them dearly. To go from pushing hard for a knock-out place to losing every game and having the worst defensive record in the competition (21 goals conceded) is jarring. Given the relatively humble means and stature of this club even within Venezuelan football (their two championship wins are the only two in their history), one can not be confident that they will be making any improvements in the immediate future. To read more about the shortcomings of their Copa Libertadores campaigns as well as those of their fellow Venezuelan sides, Deportivo Táchira and Mineros de Guayana, make sure you return to this site after the group stage is concluded in its entirety, as there will be an article published. 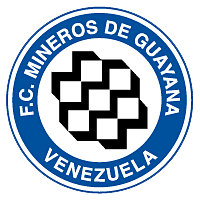 In the meantime, if there is any enthusiasm remaining out there, then look out for the final Libertadores clash involving a Venezuelan side, Mineros de Guayana vs Huracán on Tuesday 21 April, a report of which should also be up on this site soon afterwards. This entry was posted in Copa Libertadores and tagged 2015 Copa Libertadores, Arles Flores, Barinas, Copa Libertadores, Copa Libertadores 2015, Copa Libertadores in English, English Copa Libertadores Coverage, Gastón Rodriguez, Jhon Murillo, Joaquín Vergés, Jordani Abreu, Luis Ovalle, Luis Vargas, Matías Santos, Montevideo Wanderers, Nicolás Albarracín, Ricardo Clarke, Santiago Bello, South American football, Uruguay, Uruguayan Football, Venezuela, Venezuelan Football, Yeferson Soteldo, Zamora FC on April 20, 2015 by hispanospherical. Though they put in a spirited performance in the altitude of Sucre, Mineros’ Copa Libertadores exit was confirmed by two goals, both of which came towards the end of each half. The first half was fairly even, with the Bolivians marginally edging it overall though it was the visitors from Venezuela that had the first chance of note. In the fifth minute, international striker Richard Blanco managed to get a shot away within the area from an acute angle that Chilean goalkeeper Raúl Olivares parried out. A couple of minutes later up the other end, Miguel Suárez curled a left-footed shot from the right edge of the area a yard or two wide of the far post. A quarter of an hour in, Colombian striker Leonardo Castro had the hosts’ next opportunity but, though he received a dinked ball in a promising position, he leant back and blazed over. Five minutes later the Bolivians were to have their best moment thus far, with a header forcing Mineros goalkeeper Rafael Romo to pull off a fine save. However, following some pressure from the visitors, including a couple of corners, there was to be a temporary halt to proceedings in the 26th minute when some of the floodlights abruptly went out. Three minutes later they were back on and soon afterwards, Mineros were to have their brightest chance of the half. This came when Blanco roamed forward on the inside-right and squared the ball to Ebby Pérez but instead of going for a shot or taking the ball confidently in his stride, he instead went a little wayward. Indeed, he struggled to take command of the situation and his lack of control led to him having to knock the ball back unconvincingly from the touchline towards a team-mate who was unable to get a shot on target. However, though the Venezuelans were to continue to attack, the Bolivians were to make the breakthrough just before the interval. From a deep position on the inside-right, Rubén Cuesta chipped a free-kick into the area where Castro headed low and hard into the net to ensure his side left the pitch with a spring in their step. Given their respectable showing, one doubts there were any verbal fireworks inside the Mineros dressing room, though there were some actual ones outside in the Universitario stands as the hosts appeared to be celebrating their final home group game (and a fine showing from their side). The pyrotechnics continued in a similarly well-contested half, with the first chance coming from the hosts five minutes in as Castro hit a shot with pace from 25 yards that was at a good height for Romo, who parried wide. Ten minutes into the second period, Mineros had a couple of opportunites that both derived from the crosses of Pérez. The first was headed comfortably over by centre-back Julio Machado whereas the second was somewhat closer to the mark, being nodded 2-3 yards wide of the far post by half-time substitute Zamir Valoyes. However, far nearer the target was Ezequiel Filippetto’s gilt-edged chance that he was presented with in the 63rd minute. A corner was swung in, then headed on to the back post where the Argentine defender stretched for the ball but could only limply knock it wide of the goal. An opportunity to double the lead was certainly missed, though the hosts ploughed on and were to have the next significant chance six minutes later but Romo was equal to the powerful shot that was driven at him from just outside the area. The Bolivians were nearly made to pay for Filippetto’s miss with just 15 minutes remaining on the clock when Blanco made space for himself on the edge of the area and hit a well-struck effort that was tipped over by Olivares. However, ultimately they were to leave victorious and made sure of their win with five minutes remaining when a long ball was pumped forward up the left channel. This was flicked on just outside the area where Mineros substitute Edson Castillo erroneously ran onto it, unthinkingly nodding into the path of Suárez who rounded Romo to wrap up the game with a 2-0 win. Thus, with one more date of fixtures to be played in this group, Universitario surprisingly top the group with 9 points, though their final opponents Cruzeiro (8 points) may well depose them. There also still remains the chance that the Bolivians may fail to reach the knock-out stage as third-placed side Huracán (7 points) will certainly retain firm hopes of qualifying. However, their final game, an away match against Mineros (1 point), may not be as plain sailing as some casual observers may presume, given the Venezuelans nearly beat them in Buenos Aires in February. Whether Tpny Franco (who took over from Marcos Mathías in mid-March) feels potentially thwarting the Argentines is worth the bother remains to be seen though with a mere one point from five games, a morale-boosting performance may be deemed necessary. Indeed, domestically, they languish in ninth and are well on course to finish mid-table in the aggregate league – a far cry from the form under Richard Páez that gained them their place in this year’s competition: winning the 2013 Apertura, finishing 2013/14 runners-up and topping the aggregate table. As always, irrespective of what happens, be sure to continue following what is left of the campaigns of the three Venezuelan sides – Deportivo Táchira, Zamora FC and Mineros de Guayana – on this website as well as on the affiliated Twitter account @DarrenSpherical. This entry was posted in Copa Libertadores and tagged 2015 Copa Libertadores, Bolivia, Bolivian Football, Club Universitario, Copa Libertadores, Copa Libertadores 2015, Copa Libertadores da América, Copa Libertadores de América, Copa Libertadores Group 5, Copa Libertadores Group Stage, Copa Libertadores in English, Ebby Pérez, Gabriel Cichero, James Cabezas, Leonardo Castro, Miguel Suárez, Mineros de Guayana, Rafael Romo, Richard Blanco, Universitario de Sucre, Venezuela, Venezuelan Football, Zamir Valoyes on April 17, 2015 by hispanospherical. 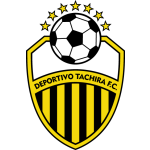 For the second time in three Libertadores group matches, Deportivo Táchira conceded five goals, leaving their already low chances of qualifying for the knock-out stage very much contingent upon next week’s return fixture in San Cristóbal. It did not take long for the Paraguayan Apertura leaders to announce their superiority as their early dominance led to a 10th-minute opener from Argentine Darío Ocampo. He finished off a move that started from a long ball down the right-flank that Julián Benítez easily beat left-back Yuber Mosquera to, before turning another defender and playing a low cross from the byline for Ocampo to lash home. However, seven minutes later and against the run of play, Táchira were to surprise their hosts by getting back on level terms. Captain César González picked up the ball on the inside-left, before inching away from a player to strike a fine right-footed shot low into the bottom corner from 25 yards. Though this goal marked an immediate improvement in the visitors’ morale and play, it was not to last as the hosts were to gradually return to dominate play, albeit without creating too many clear-cut chances. That is, until the last ten minutes of the half when they were to blitz their opponents with three goals in rapid succession. First, in a goal not entirely dissimilar from their opener, Jorge Mendoza blasted home in the centre a pass that was skilfully directed to him by Eduardo Filippini, following more good work from Benítez on the right. Then, after a cross came in again from the right, defender Carlos Rivero was adjudged to have hauled down striker Federico Santander and he himself stepped up to give his side a two-goal advantage. Barely 60 seconds then elapsed before another goal was added as the Táchira defence, no doubt reeling from the past few minutes, played a few hesistant passes between themselves 35 yards out, upon which the Paraguayans pounced. Indeed, some high pressing led to the ball being won and quickly released to Benítez in the area, who capped off a fine first-half performance by gaining space from defender Javier López to poke home a cultured shot. 4-1 the scoreboard read at half-time. In such a perilous position, Táchira had a daunting task ahead of them in the second period but within five minutes of the restart were to go some way to getting back into the match from that most reliable source of hope for teams under the cosh: a set-piece. Captain César González lofted in a fine free-kick from the right that the Argentine centre-back López rose onto to head home. However, though the play was more even for the subsequent ten minutes, the visitors were to needlessly and senselessly write themselves out of contention on the hour mark. Indeed, seemingly apropos of nothing, Agnel Flores, who had only been on the pitch for 15 minutes, appeared to elbow Santander in the middle of the field and was immediately given his marching orders. The remaining half-hour was anything but a contest with the hosts dominating possession and largely conducting a long-range target practice session. For the eternal optimists, things briefly got interesting with eight minutes left when the hosts’ Tomás Bartomeus was sent off, thus evening up the playing field. Yet the Venezuelans were unable to take any initiative that may have been offered by this change in circumstances as it was the Paraguayans who were to get the next goal, thus confirming a victory that had rarely been in much doubt. This involved two late substitutes as a pass from Luis de la Cruz from the right towards the edge of the area was skipped over by a team-mate before Fernando Fernández managed to gain space from a defender before firing home a low strike. Thus, for the second time in three games, the Venezuelans from the border state of Táchira were on the receiving end of a heavy defeat. With only one point, winning their next game – a home tie against the Paraguayans – is imperative and has been made all the more so following the surprise win of Peruvians Sporting Cristal away to Argentine champions Racing. The Venezuelans now find themselves rooted to the bottom of their group, with the Paraguayans on 4 points, the Peruvians on 5 and the Argentines on 6. Consequently, a win next week for Táchira, however unlikely it may currently seem, would certainly blast further wide this already rather open group. Whether or not the Venezuelans are up to such a task remains to be seen, but irrespective of what happens, feel free to check back here and/or at @DarrenSpherical for further updates on the Copa Libertadores campaign of not only Deportivo Táchira but also those of Mineros de Guayana and Zamora FC. This entry was posted in Copa Libertadores and tagged Agnel Flores, Asunción, César González, Club Guaraní, Copa Libertadores, Copa Libertadores 2015, Darío Ocampo, Deportivo Táchira, Eduardo Filippini, English Copa Libertadores Coverage, Estadio Defensores del Chaco, Fernando Fernández, Group 8, Julián Benítez, Luis de la Cruz, Paraguay, Racing, Racing Argentina, Racing Club, Sporting Cristal, Tomás Bartomeus, Under the cosh, Venezuela, Yuber Mosquera on March 11, 2015 by hispanospherical.